After a two-year ordeal that dominated the headlines and engrossed the entire nation, a jury found Scott Peterson guilty of murder 23 months after his heavily pregnant wife Laci Peterson suddenly vanished from her home in Modesto, California on Christmas Eve. Peterson stated that Laci had gone for a walk with their dog while he was fishing in San Franciso Bay. Peterson wasn’t immediately considered a suspect in his wife’s disappearance. However, within a few weeks, holes in his story became apparent, and evidence of extramarital affairs began coming to light. Most damning was when a massage therapist by the name of Amber Frey, Peterson’s newest girlfriend, came forward when she realized she was dating a man who had a missing wife. Frey informed the police that Peterson had implied that he had been widowed, telling her that he was facing his first Christmas without his wife. He made this statement a full two weeks before Laci’s disappearance. He also told Amber that he was in Paris for the New Year, when he was actually attending a candle-light vigil for his wife in Modesto at the time he was making that call. What Peterson didn’t know was that Frey had agreed to allow the police to tape their phone conversations. They never got anything as cut-and-dried as an actual confession, but what they got shed a lot of light on Peterson’s character. The remains of Laci Peterson and her baby son Conner washed ashore on April 13 and 14, 2003. Scott Peterson was charged with two counts of first degree murder within the week, which paved the way for the state to seek the death penalty. When he was placed under arrest in San Diego, he had his brother’s passport and a large amount of cash on him. He also had colored his hair and restyled it – perhaps he was planning to flee from justice? 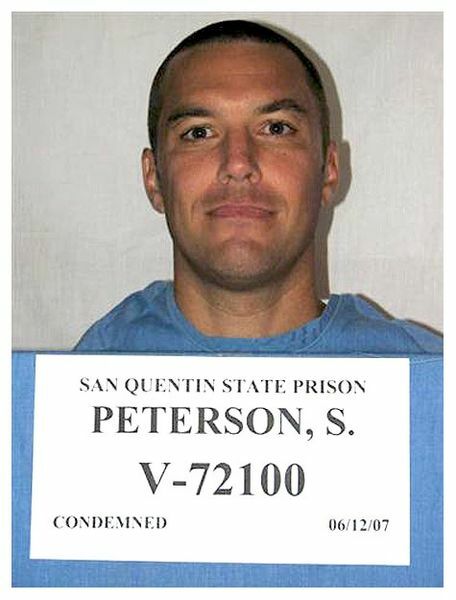 Scott Peterson pled not guilty and after a trial that lasted 19 weeks, the jury deliberated seven days to reach their verdict on November 12, 2004, finding Peterson guilty of one count of first degree murder of his wife Laci, and one count of second degree murder of the full-term male fetus she was carrying. On March 25, 2005, he was officially given the death penalty for the murders of his wife and unborn son and is currently awaiting the fulfillment of that sentence, pending appeals.